From their inception half a decade ago, captives have played a key role in helping companies mitigate and contain business risks. But with the rapid and disruptive change in the digital age, captives can play a strategic role in driving Asia’s business growth. All businesses have risks – but not all risks can be prepared for. In May 2017, a massive cyberattack known as WannaCry infected over 200,000 computers in 150 countries, affecting major telecommunications and energy providers, banks and government services. In the first four days of its release alone, the virus became responsible for over USD1 billion worth of data and productivity losses. While large-scale cyberattacks may dominate headlines, new risks are emerging with increased technology adoption and digital disruption. “Our increasingly digital landscape brings about new risks. The widespread use of smart devices increases the need for cybersecurity and data privacy; the global availability of business data has increased calls for digital governance and accountability. “Businesses are also exposed to reputational risks – one rogue comment on social media can cause significant loss of trust in companies,” said Stacey Huang, executive director of PARIMA or Pan-Asian Risk and Insurance Management Association at the recent Asian Captive Conference organised by Labuan International Business and Financial Centre and Labuan International Insurance Association in Kuala Lumpur. Risk management providers have to be more proactive, instead of reactive, to mitigate potential hazards. Captives offer the right structure to not only mitigate risks but also create value for parent companies. Captives – in-house insurance providers that contain the risks borne by their parent companies – are most needed at the early stages of a business’ formation, where businesses need to cover all their bases. “When businesses are just starting their risk management efforts, they are looking to cover basic known risks – property, marine, liabilities. There is already a high concentration of solution providers catering to those needs,” said Oliver Schofield, Head of Captive and Alternative Risk Transfer Consulting at Principal Re Limited. “But as the business grows, many day-to-day risks fall by the wayside without coverage, which reduces the company’s margins and prevents them from reaching full profit potential,” he said. Schofield explained that captives should proactively reach out to various departments in their parent companies – finance, treasuries, customer service – to find out the ‘day-to-day’ risks that these companies face and come up with a risk management profile to manage these risks. “By coming up with more coverage options for their parent companies, captives are not only able to increase the protection that the parent companies enjoy, but also become revenue-generating centres for the parent company. It’s a win-win solution,” he added. One example to illustrate innovative captive coverage is trader protection. By devising a premium for a percentage of trade income, captives can pay out profit gaps that are caused by fluctuation in market prices, enabling enable traders to enjoy the same rate of compensation regardless of market performance. This encourages trader retention and prevents them from being lured away by competitors offering higher compensation. Another area where captives can generate income is goods delivery costs. When a premium is charged on a percentage of the delivery costs, businesses can pay out refunds for late or faulty deliveries without cutting into their profit margins. Traditionally, the captive industry is more active in places such as Bermuda, Vermont and Delaware. However, Asia, with its dizzying pace of business growth, is the captive place to be. “Less than 2% of the world’s captives are based in Asia, which accounts for at least 30% of global gross domestic product (GDP). Many might see this as a disconnect, but I see it as a huge opportunity – the market is open wide for companies to establish captives in Asia,” Schofield said. Although captive growth in Asia is still modest, captive jurisdictions in the region have recorded promising growth. “The captive industry in Asia has lots of potential. Labuan in Malaysia for instance has the highest new captive additions recorded in 2017 for the region, and it has the second highest total captive domiciles in the region after Singapore,” said Richard Cutcher, editor of Captive Review. Businesses in Asia looking to take advantage of the strategic growth opportunities that captives provide can look no further than Labuan IBFC, a comprehensive midshore jurisdiction that has actively facilitated captive formations since 1998. “Labuan IBFC is one of the fastest-growing risk management centres in Asia, with more than 60% of foreign-origin premiums. To date, Labuan IBFC has approved more than USD360 million worth of premiums and 47 captives, with four new approvals in 2018 alone,” said Dato' Mohammed Azlan Hashim, Chairman of Labuan IBFC Inc.
Labuan IBFC offers facilities to set up a range of captives - from pure and rental-based captives to protected cell companies, which offer a cost-effective self-insurance option to small and medium enterprises who find traditional captives out of reach. 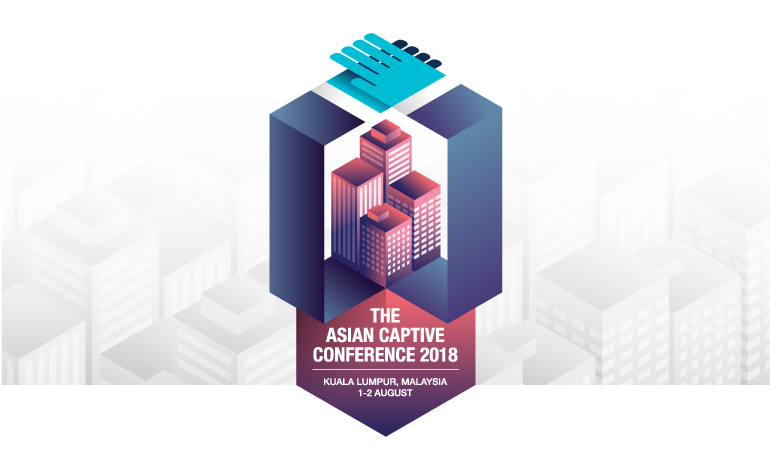 The Asian Captive Conference 2018 was held on 1-2 August, 2018 at Sasana Kijang, Kuala Lumpur, Malaysia. The conference highlighted the challenges and disruptions faced in the self-insurance, captive and re-insurance industries and how risk managers could address them effectively.